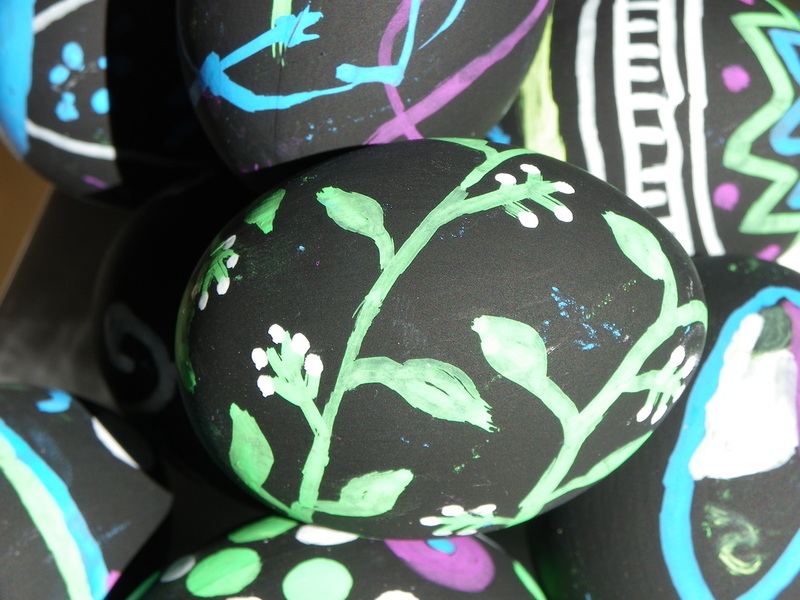 How to Make Beautiful Chalkboard Eggs, Perfect for Easter. 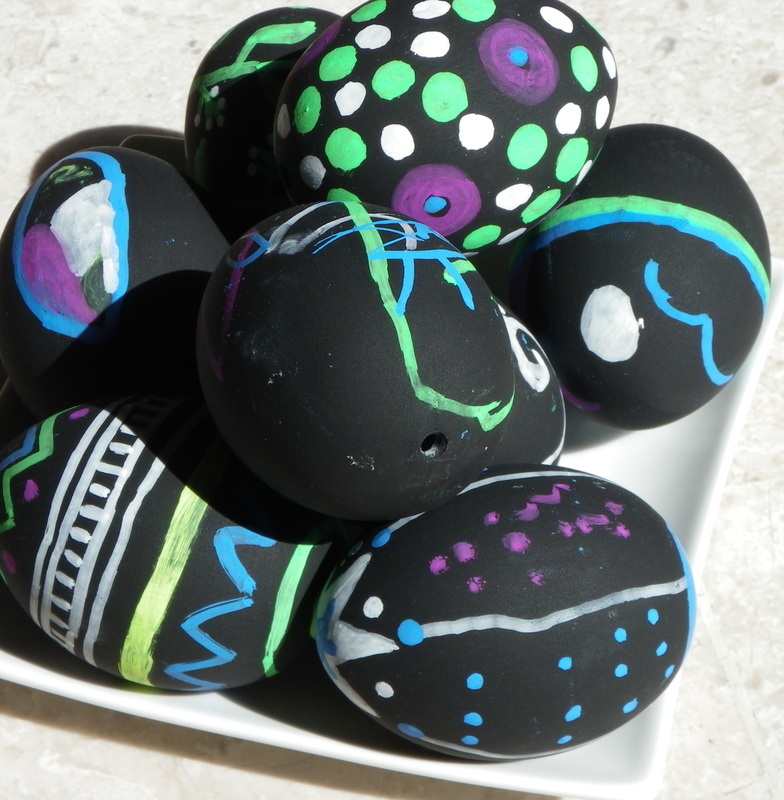 Try these yourself...make chalk-board easter eggs for your kids to decorate...and they can re-decorate them time after time and year after year! 1. 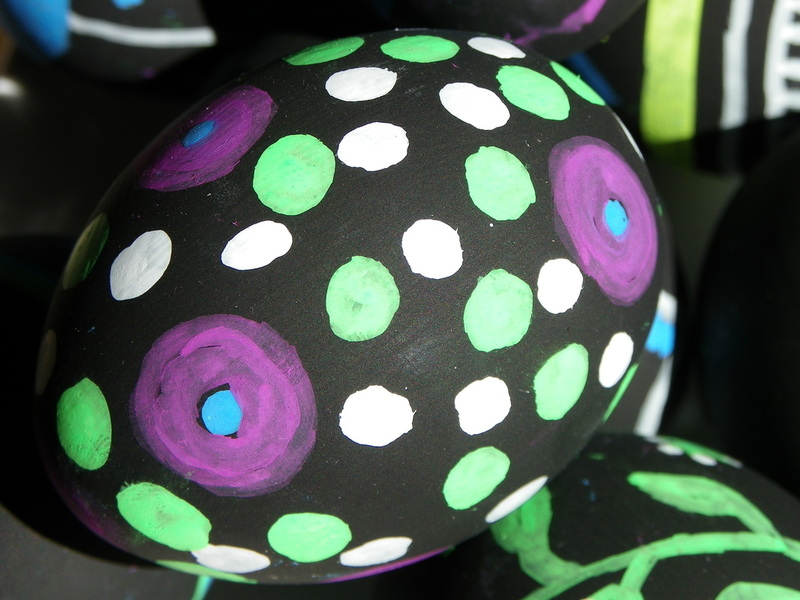 Eggs - I used small hollow plastic eggs. 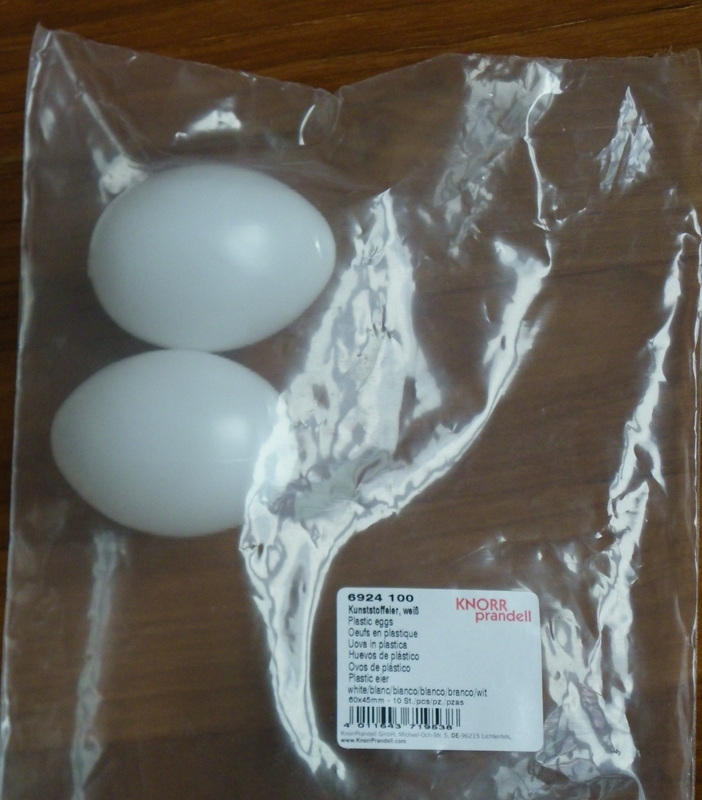 I looked at polystyrene eggs, but they were too rough and soft, and the plastic ones looked better. They have a small hole in the end which was perfect for supporting them on a kebab stick while I painted and dried them. 3. Chalkboard paint - I used jet black chalkboard paint produced by Derivan, but they make eight different colours and the choice is yours. It's water clean-up and easy to apply. 6. Chalk or chalk-paint pens. 1. 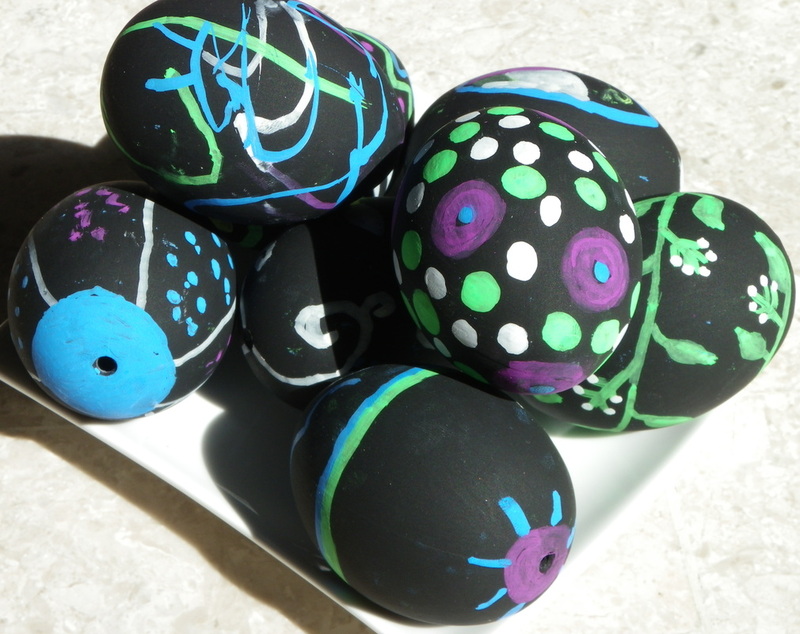 Lightly sand your plastic eggs to make them smooth, remove any lines and so that the paint will adhere to the plastic better. 2. Push each egg onto a kebab stick and organise a way to keep them upright while they dry. 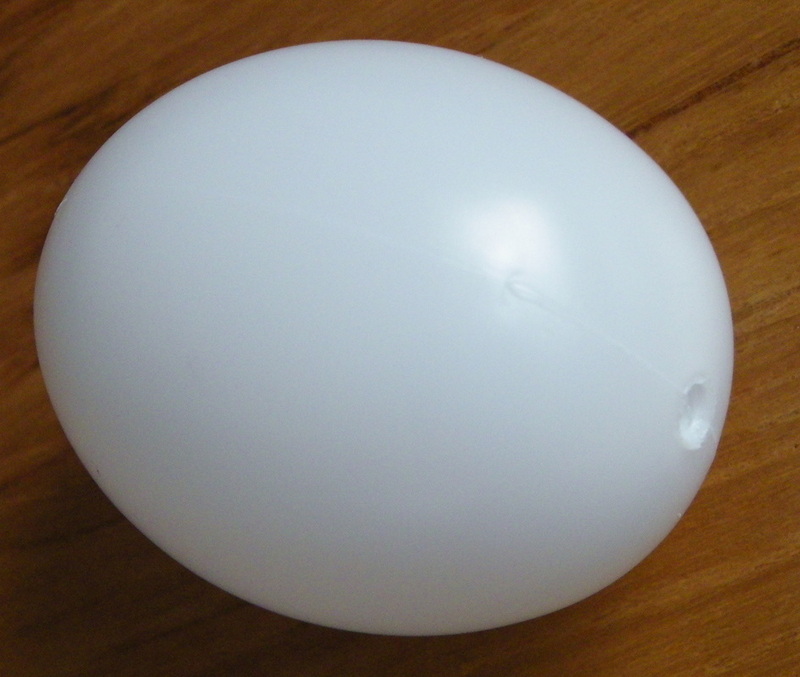 I used blu-tack and a plastic container (see picture). 3. 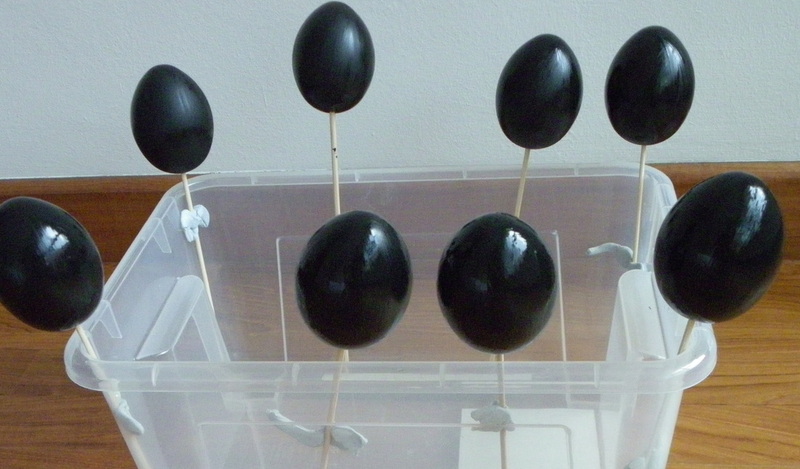 Paint each egg with 2 to 3 coats of pain, allowing to dry between coats, and dry on the kebab sticks. 4. Have fun decorating them. Old fashioned chalk works well, as do liquid-chalk pens (which I used). You can rub or wash off the chalk to start again. We did find it helpful to leave the eggs on the kebab sticks so that we could make less fingerprints on the eggs. These are great for Easter too!